William J. 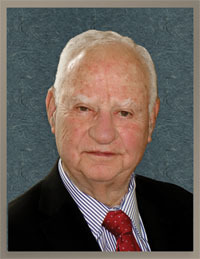 (“Bill”) Holloway is an experienced trial attorney who has practiced law for more than four decades. His professional accomplishments have been widely recognized with top professional honors. After receiving his undergraduate degree from Iowa State University, Holloway served in the U.S. Navy as chief engineer of an ocean minesweeper. Since graduating from Northwestern University Law School, he was a partner with Hinshaw & Culbertson, before becoming one of three founding partners of King Holloway L.L.C. in 2011. Holloway is well known for his work in real estate litigation, and he has defended title insurance underwriters and their insureds in Illinois, Wisconsin, and Indiana. Since 1985 he has co-authored a chapter of the Illinois Continuing Legal Education text, Illinois Mechanics Liens. Holloway prosecutes and defends for employees and employers litigation involving trade secrets, whistle blowing, retaliatory discharge, as well as employment contracts. His clients have included individuals, national retailers, telephone companies, and local business. In 1985, Holloway coauthored Employment Terminations: Rights and Remedies, and released a second edition in 1993. The book, published by the Bureau of National Affairs (BNA), was updated by the American Bar Association in 2003 and BNA continues to publish under a similar title. Since 2011, Holloway has served as an arbitrator by the American Arbitration Association for employment disputes.